All staff at Heshima Children's Center are trained professionals in their fields of study. See a list below of all staff currently in employment at Heshima. Julius grew up in Kenya. He has worked with the Hagman family for over 10 years now. He has spent many hours playing and working with Simon. He is the administrator and doing an amazing job. Julius takes care of all the time consuming errands like: buying food and water, paying the bills, making sure the teachers are doing their jobs, working with the families and the list goes on and on. Heshima would not be able to run as effectively as it does without Julius. Linet loves working with children. She also has worked alongside many volunteer OT's from the USA that have come to Heshima. Lilian is a wonderful teacher and has been with Heshima longer than any other staff member. She is in charge of message therapy and brush therapy, which she uses with all the cerebral palsy kids at the center. She is a twin and has two children of her own. Sellah has worked at Heshima since 2009. She is married with one baby. She is a trained special education teacher. She loves the Heshima kids and is always on time! Ruth is married and has 2 children of her own. She loves her work as a teacher at Heshima because she loves children. She hopes to continue her education and eventually become a special education professional. Ruth has worked at Heshima since June 2010. Janet is a social worker at Heshima. Her special needs niece, Celestine attends Heshima. She works closely with the Heshima families, helping them with their complicated lives. She often does home visits and prays and encourages our families. 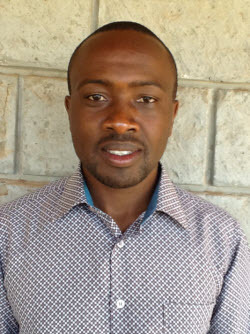 Allan serves Heshima foundation as an accounts manager. He is very conscienctious worker and keeps a close eye on the Heshima finances. He also acts as the facility's caretaker. 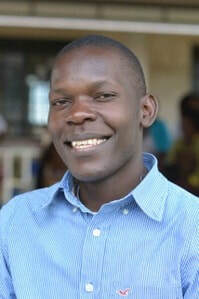 He has worked for Heshima Foundation since its inception. He has served the foundation in various capacities. He is married and has two children. He has an undergraduate degree in Electrical Engineering and currently pursuing a Masters of Business Administration. Ed received his education from Kenya Medical Training College. He has a degree in physical therapy. Ed has worked with us at Heshima since we opened in October of 2008. He provides invaluable help to our children that can not walk. He has enjoyed working alongside other therapists that have come from the USA. Grace is a speech therapist in training. She is being trained by various therapists that have come from the UK and the USA. She not only works to improve the kid's communication but also helps them learn to eat and swallow properly. Jane has a daughter Princess who attends Heshima. She has worked at Heshima since 2013. She is a hard worker and lots of fun! Kagge is a sign language teacher with over 7 years experience. She has a passion for working with special needs children. She hopes to develop and enhance skills of the children at Heshima by teaching them alternative ways of communication. Josphine has a calling to minister to parents of special need children. Her child Macharia, has special needs and this has shaped Josphine's calling. At Heshima Children's Center, she is very instrumental as she serves as a pastor and counsellor. Josephine is a fabulous teacher who works with our higher functioning children.